Mould flow analysis is essentially a process that allows us to analyse the proposed design and ensure that the materials and shapes used will result in the best possible product. Using either a design provided by us or requirements from the customer, a digital model of the mould is constructed. This, along with the characteristics of each resin, can then predict how the resin will flow through the mould process and into the cavities, giving us a better of idea of how the final product will turn out. Several different attributes such as pressure, melt temperature and time-to-fill can be further examined and optimised to ensure a smooth manufacturing process from start to finish. When is Mould Flow Analysis Used? As you may have gathered from the explanation above, mould flow analysis is used before the physical tooling process takes place. This is so any technical faults or potential issues can be identified before materials, time and money are wasted on the actual product. The software has the ability to assess different outcomes by changing the variables such as temperature and pressure, helping to ensure the end result is of the finest quality possible and no resources are wasted during the production period. Here at Opus Plastics, we use this technique prior to making any product, ensuring we eliminate wasteful production and helping to save us time and ensure all orders are filled out as soon as required. What are the Benefits of Mould Flow Analysis? Discover and identify any potential defects in the design geometry to avoid timely and costly errors with the design. Easy-to-use and immediacy reduce the time it takes to get the product created, making it ideal for large orders and those with unpredictably increasing demands based on seasons, trends and popularity. Smooth production occurs thanks to the consistent and uniform nature of the process. It allows manufacturers to assess the advantages and disadvantages of using varying materials and how each one will affect the design, meaning you can be sure your product is the best it can be. The process can reveal potential visual defects that would be impossible for the naked eye to identify. This eliminates the chance of visual defects such as air traps, weld lines and sink marks, making it one of the most preferable plastic manufacturing processes available. The software can provide data to support design changes. This means you, as the customer, can be sure that any suggested changes to the design are made with the end result of your product or part in mind, and a friendly member of the team here at Opus will be able to further discuss why certain decisions have been made with reference to the proof provided by mould flow analysis. The software eliminates the possibility of expensive errors and timely reworks, allowing manufacturers to keep costs low for consumers while ensuring all their products are delivered on time. Do you use Mould Flow Analysis for Every Application? Not necessarily. There are various factors that affect how/when mould flow analysis should be used. These include the geometry of the product, in terms of how intricate the design is and the scale of the product. Clearly, if the part is simple, has been done before or is required in low volume, it may not warrant the time, software and talent required to run the tests. Additionally, materials that manufacturers work with often can often be moulded without using this tool, as employees will know the specifications for each material inside out. However, any products using unusual materials or unfamiliar designs will benefit from the technology, allowing them to better predict and ensure a favourable outcome. That concludes our guide to mould flow analysis and exactly how it is utilised here at Opus Plastics. We hope you’ve learnt something new and are now more informed on the process behind how your fantastic products and parts are created. 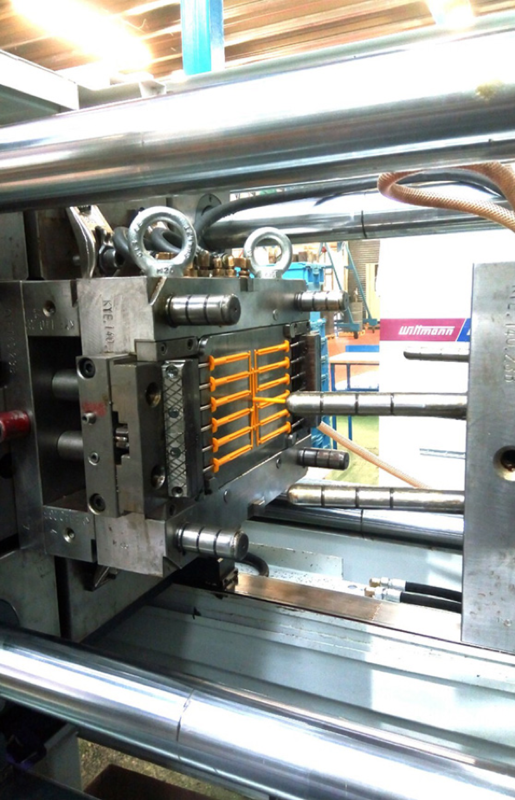 To learn more about what we do here, check out our recent blog post, Why Do We Use Injection Moulding?. If you’d like to discuss the specific requirements for your company or products, don’t hesitate to contact us today and a member of our team would be more than happy to provide further information. Previous PostPrevious What Is Plastic and How Are Plastics Made? Next PostNext How Does an Injection Moulding Machine Work?